A newly implemented directive from the Chinese government forces Protestant ‘house churches’ and Catholic ‘underground’ communities to seek “guidance” from recognised religious organisations. A notification from the State Administration for Religious Affairs, issued earlier this month, requires organisers of religious activities at temporary sites to also apply for a permit that is valid for three years, Catholic news website UCAN reported. According to Professor Ying Fuk-tsang, director of the Divinity School at the Chinese University of Hong Kong, these recognised religious organisations include the China Christian Council and the national committee of the Three-Self Patriotic Movement, which are known in China as the lianghui, or “two organisations”. The directive has caused fear among the ‘underground’ communities that they will come under greater control, according to UCAN. “It is well known that many ‘house churches’ are reluctant to register and are willing to be an illegal organisation because they do not want to be under the two organisations,” Professor Fuk-tsang wrote on his Facebook page. The notification follows revised religious regulations in February, which spelled out criteria that religious organisations have to meet in order to be registered or to establish a place for religious activities. The revised regulations have in reality been in force since the early 1980s, according to Aaron Ma, an Asia-based researcher for the Christian advocacy charity Open Doors International, but he said they were now being taken more seriously. “There is now a heightened sense that a breach of regulations will be met by some form of warning, increased surveillance, or punishment. Certainly, most churches feel it is time to take extra precautions, to downsize or maybe even relocate some of their ministries,” he told World Watch Monitor. The enforcement of the religious regulations varies across the country and appears to depend on local authorities’ interpretation of it, a local source told World Watch Monitor. Church leaders in several places, such as the eastern province of Zhejiang, where between 2013 and 2015 over 1,200 crosses were pulled down from churches, told the source that although “it sounds becoming more serious, yet at this moment we don’t feel much different”. One hundred churches were closed in Nanyang, in central Henan province, in the month of March alone. Ma said local contacts told him that “Christians who used their own church building for meetings were targeted, and their buildings closed”. Consequently, he said, Christians had gone back to meeting in homes. 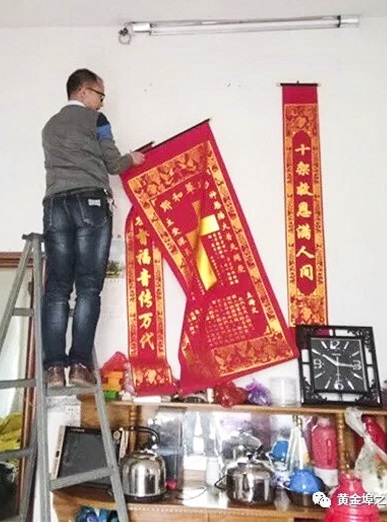 Elsewhere in Henan, Ma said that officials banned ‘house church’ meetings and then went door-to-door, warning residents to stop attending ‘illegal’ church meetings – or else face serious consequences. The researcher suggested officials sometimes felt torn between superiors who voiced hostility towards Christians, and the local Christians with whom they had built positive relations. “In the wake of recent speeches by top leaders, local authorities do not want to appear weak when implementing new regulations. Conversely, they do not want to upset the tentative, but effective, relationship they have with local churches,” he said. One example of what appears a measured and acceptable way for local authorities to show their subservience to the ruling party is to warn unregistered churches not to meet in rented or self-built church venues (e.g. commercial buildings), Ma said. More and more regions are adopting this approach, and an increasing number of landlords refuse to extend leases to local churches, he added. Two fears held by the Chinese government are foreign forces using religion to infiltrate China, and social unrest or separatism at home, said Ma. Beijing has long sought the ‘Sinicisation’ of religion, which requires religions considered foreign to China, whose may adherents may attract foreign support, to adapt to Chinese socialist society. “Some surmise that so-called ‘foreign’ religions, particularly Islam and Christianity, will be forced to cast off their attachment to external forces and morph into Chinese-style religions that fit both culturally and politically. Affiliation with overseas religious groups and receipt of overseas funding are the primary concerns voiced by authorities,” Ma said. In March, China’s Communist Party (CCP) disbanded its Religious Affairs Bureau to bring religion under the direct control of the party’s Central Committee. Catholic commentator Eric Lai said at the time that the Communist Party wants “to use religion as a tool for stability” – mirroring the approaches of other authoritarian governments, such as Russia. Sinicisation is also the government’s answer to unify its culturally, linguistically and religiously diverse population, Ma said. “Rather than encourage unity based on a celebration of diversity, they have preferred an intentional and sustained process of Sinicisation to create uniformity in order to achieve President Xi Jinping’s dream of ‘rejuvenation of the Chinese nation’. Social stability must be preserved at all cost,” he said. As World Watch Monitor reported in October, the rapid growth of Christianity in the country has made some government officials nervous. According to Fenggang Yang, a professor of sociology at Purdue University and a leading expert on religion in China, China’s Christian population might reach 247 million by 2030, “making it the world’s largest congregation”.